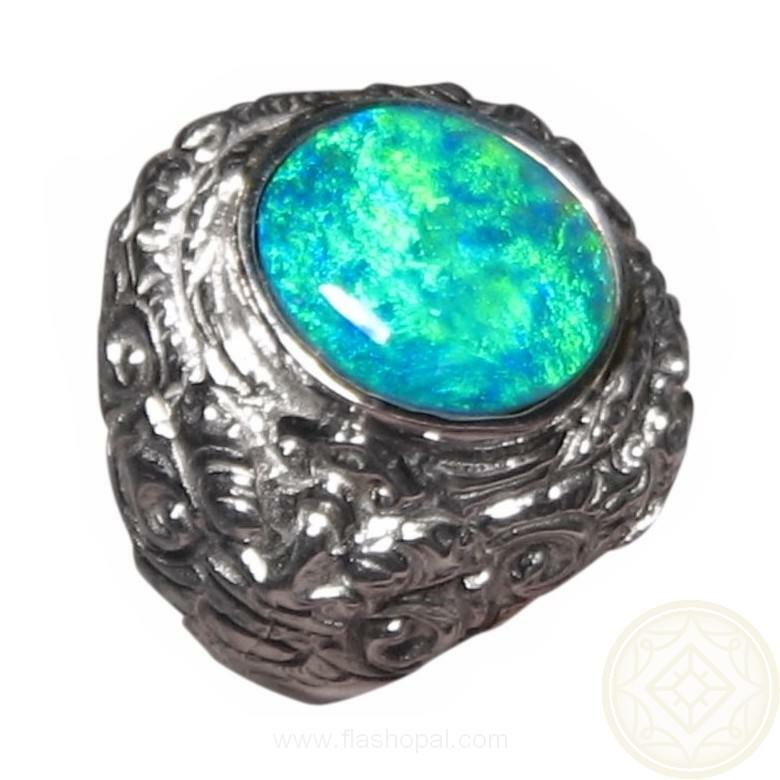 Mens Opal ring that is big and heavy in a Balinese design in 14k Gold. 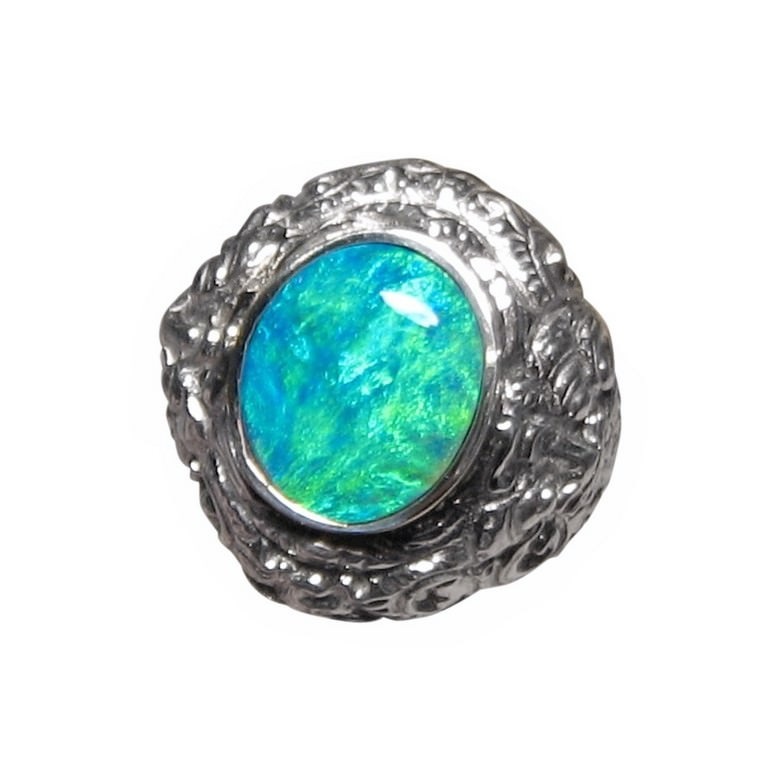 An Opal ring for men that like their rings to be noticed. The solitaire 2.8 carat oval Lightning Ridge Crystal Opal shows beautiful Blue Green color and this is highlighted against the 14k White Gold. 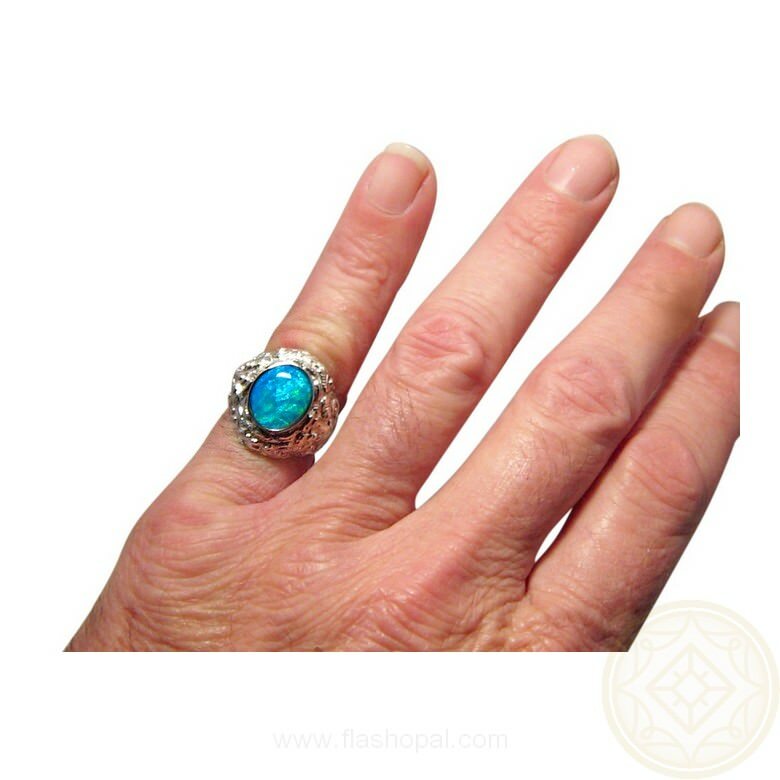 An impressive ring that weighs 16 grams in Gold or you can choose the option of 925 Silver which weighs about 12 grams. 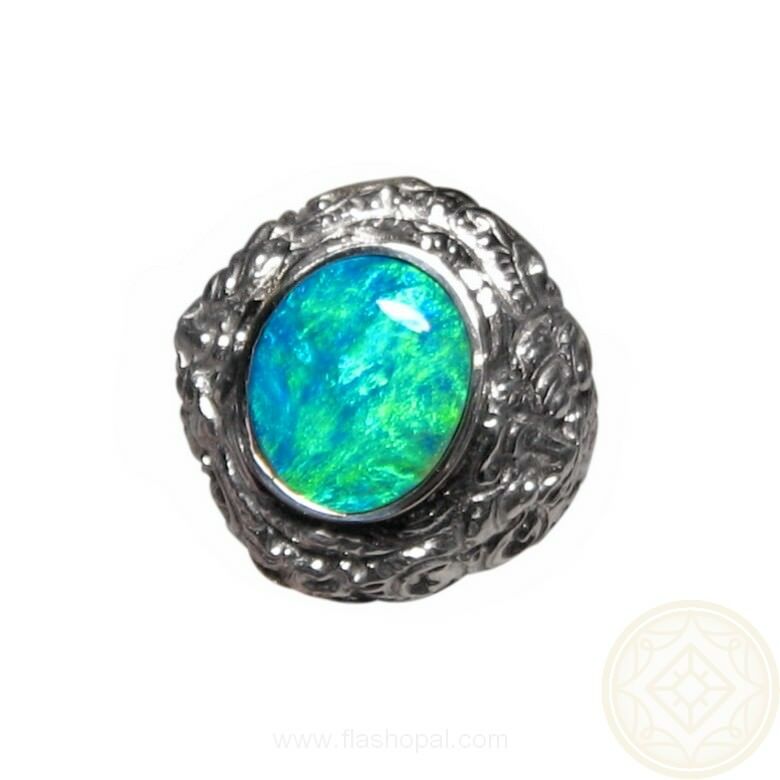 This noticeable Opal ring has been sold but if you would like a similar Opal ring Made to Order in your ring size, contact through this product to ask about availability of this quality of Opal. 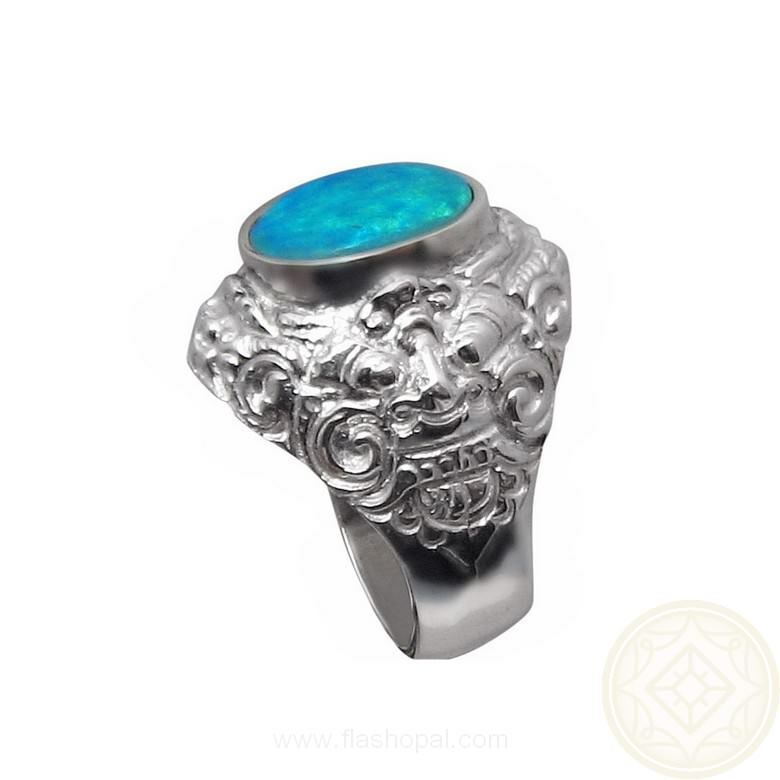 There are other Barong rings available that are slightly bigger, much heavier in metal weight or with more than one Opal.